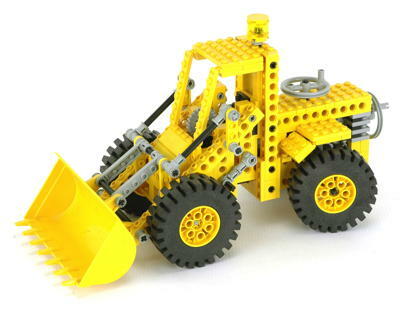 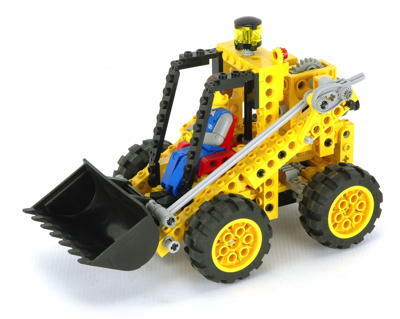 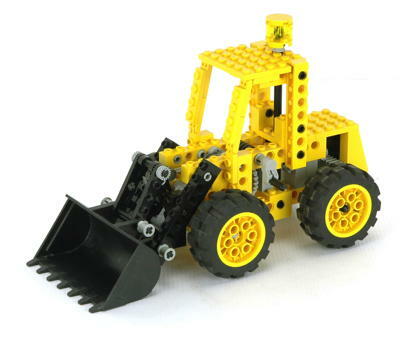 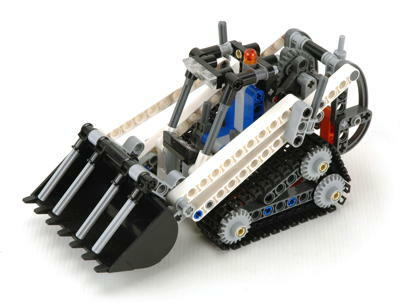 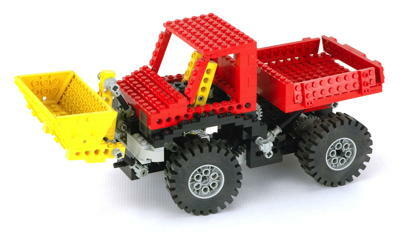 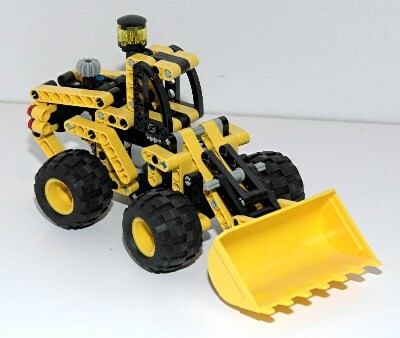 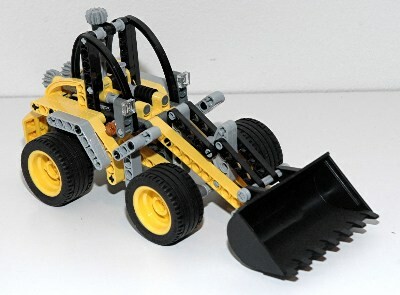 Construction equipment is a perfect Technic theme, and loaders make up the largest number of this category. 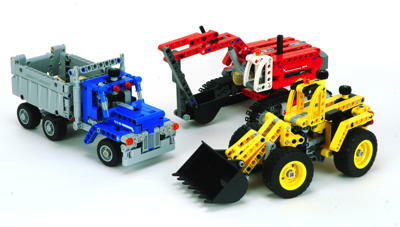 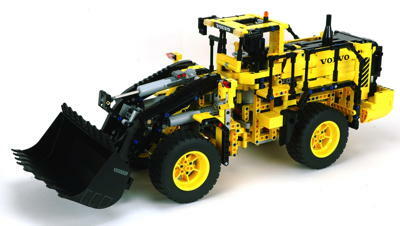 The loaders vary widely in style, size, and complexity from only palm sized to among the biggest Technic sets of all. 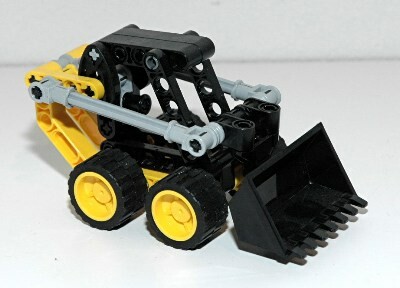 Most feature buckets which raise and dump, but a couple have grapple claws instead. 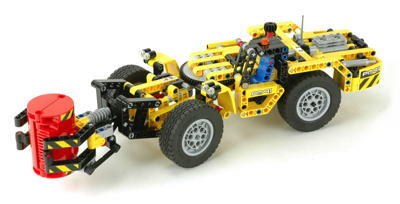 Some have rear wheel steering, while a couple have an articulated chassis. 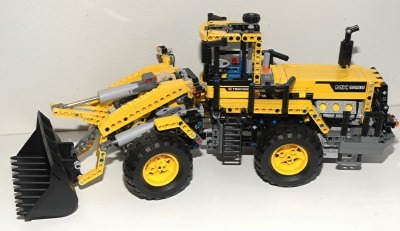 The development of LEGO® pneumatics really added a lot of realism to this type of vehicle; several include pneumatic functions. 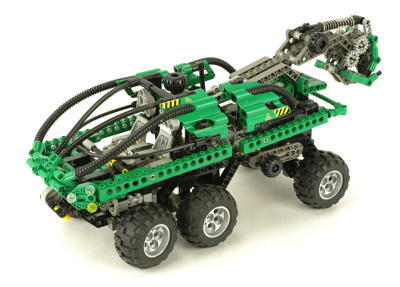 Later models used mechanical linear actuators instead. 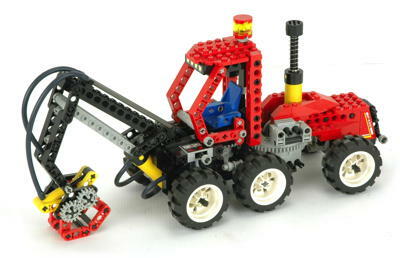 I think my favorite is the venerable 8459 which was so popular that it was re-released twice. 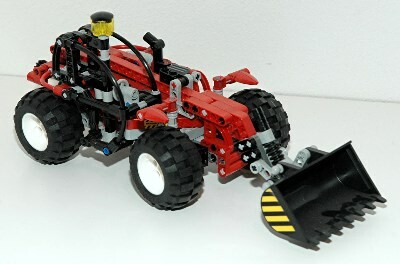 On a budget, either 8271 or 8453 are excellent. 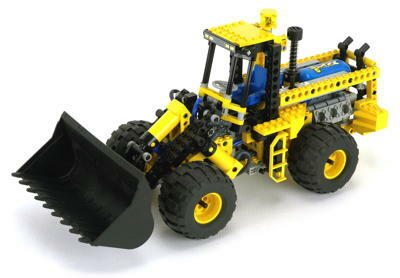 The newer loader, 8265, is huge and includes 3 linear actuators, but the Volvo 42030 is the biggest and most motorized model.